Another glorious night for the 30th Palm Springs International Film Festival. 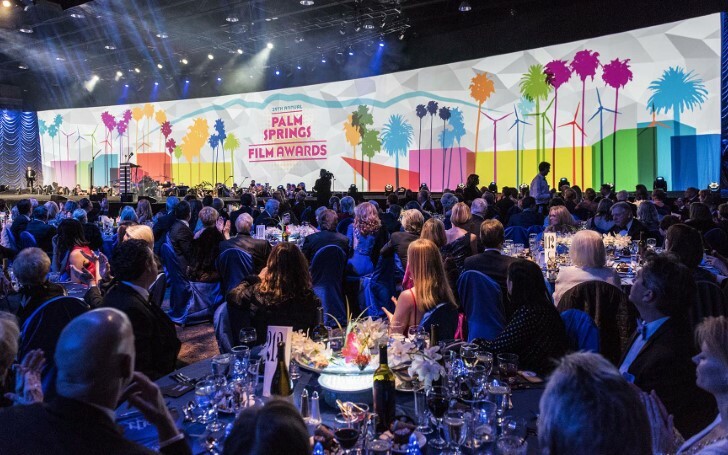 Every year The Palm Springs International Film Festival (PSIFF) hosts events on January to honor and encourage talented artists in the Hollywood film industry. 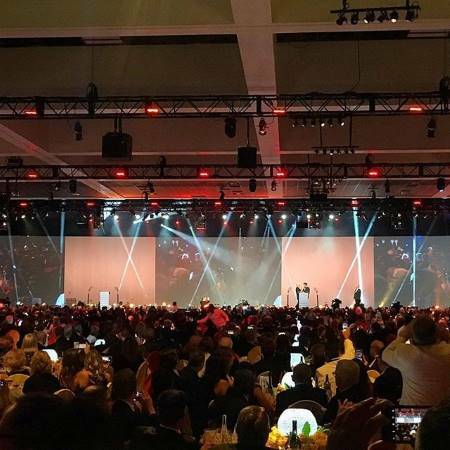 Following its rituals, since last week, the 30th Palm Springs International Film Festival is taking place in Southern California, where the PSIFF hosted dinner for hundreds of stars. TV Personality Mary Hart once again did an amazing job hosting the nights. The glorious night witnessed high profile actors coming together, to name few; Rami Malek and Bradley Cooper received their Awards for their outstanding performance in their respective movies released last year. PSIFF didn't forget to praise notable movies from last years like If Beale Street Could Talk, Beautiful Boy and Roma. The night started off with the young rising star Timothee Chalamet winning the first award of the night; Spotlight Award, Actor for Beautiful Boy, presented by Laura Dern, one of his co-actors in Little Women. 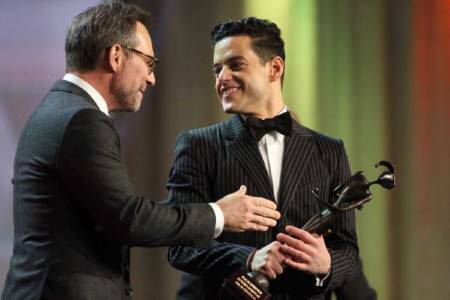 Bohemian Rhapsody's star Rami Malek received the Breakthrough Performance Award for Bohemian Rhapsody, presented by Christian Slater, with whom he worked in Mr. Robot. "Thank you, Lucy Boynton, you have been my ally, my confidant, you are my love. I appreciate you so much"
And on behalf of the cast of Mary Poppins Returns, its stars Nathanael Saleh, Emily Blunt, Joel Dawson, and Pixie Davies accepted the Award in the category of Ensemble Performance. Film director Rob Marshall presented the Award. The highlight of the night included A Star Is Born's star Bradley Cooper receiving his Director of the Year Award, presented by Sam Elliott. Stars of BlacKkKlansman, Adam Driver and John David Washington presented the Career Achievement Award to Spike Lee. The film If Beale Street Could Talk won Regina King Chairman’s Award. The film’s director Barry Jenkins presented the Award. Gary Oldman presented the Award for the Sonny Bono Visionary for Roma to Alfonso Cuaron. Similarly, Olivia Colman received The Palm Desert Achievement Award by The Amazing Spider Man's actress Emma Stone. Besides, winning the awards, the celebrities stole the night by arriving at the event looking all stylish.